Who doesn’t enjoy a fresh, dry glass of wine at the end of a long week? From Kansas City to St. Louis, you’ll find tremendous wine bars spread all throughout Missouri. These wine bars serve up locally-crafted wines as well as internationally-acclaimed selections. Here are 10 great bars to sit down, have a glass of wine, and relax with your friends. If you are in St. Louis, this shop has a cool atmosphere for you to sit down and take a rest as you enjoy a glass from the well-stocked bar. There is a beautiful outdoor seating that you could take advantage of or take a seat at the modern bar top inside. If you are looking for a new wine to try, check out their wine tasting events on Tuesdays. Check out their Facebook page for more information on time and dates. For a place with an upbeat atmosphere, try this gem down in the southeast part of Missouri. With a sweet location in the Historic Branson Hotel, this bar has been open since 2014 and is designed with an elegant inside seating area, with high back chairs and a marble top bar. If you want to sip a glass of merlot outside, there is a beautiful stone patio decked out with a fire pit and a place for musicians to play for guests. Located in the Historic Old Town St. Charles, this stop has a variety of wine and tapas on their menu. The charm of this establishment is that they are in an old brick style two-story home with an amazing front porch, with seating available in the front yard or on the porch itself. The ambiance inside and out will have you wanting to stay a while, as you enjoy your drink and food all evening long. This spacious establishment is located just outside of Kansas City and offers wine lovers the chance to try a wide variety of wines, while the shop also serves as an event space, boutique wine bar, and retail store. While in historic downtown Parkville, you can explore the themed rooms and taste wines from all over the world. They also host private parties, wine and cooking classes, and have live music occasionally. Located in downtown Columbia, this bistro provides their patrons with the best, locally-grown organic food with their extensive wine list. With indoor and outdoor seating (weather permitting), you will be able to enjoy your food and drinks as you take in the sights of the area. They also offer wine tasting events, paired with their hors d’oeuvres or with a special menu around different holidays. You can receive emails to be notified with these upcoming events on their website or check out their Facebook page for weekly updates. Located in downtown Kansas City, this place has a great industrial feel with an outdoor deck open during the warm seasons. For those who need a bite to eat with your wine, try their menu for lunch or dinner. You can even join them for their happy hour or try their four-course tasting meal. This bar also offers a wine club membership that allows you a wine locker, a bottle of wine each month, wine club tastings, and special club prices on select wines. Contact them to reserve your table for tables of 10 or more, since seating is limited. This bar is set in a beautiful and old building just northeast of downtown Kansas City. Along with wine, this spot has a small retail boutique with gifts and goods from around Missouri. 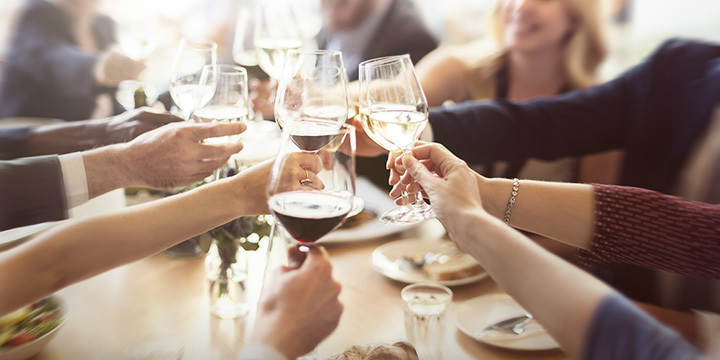 Since 2005, the locally owned and operated establishment has provided a place for wine lovers to enjoy all that the state offers, great wine and amazing hospitality. Come for the wine and stay for a meal sure to please your appetite. Originally a micro winery, the owners decided to expand their business to include other types of spirits and food. They added a food menu that includes food great to enjoy with your favorite wine and live music every Thursday. For a unique experience, you can make your own wine during their wine making class. After it’s made, they will have you return for a bottling party where you get your own personalized label for your new wine. If you don’t have time to make the wine, you can have customized labels on any of their stock wine for any of your special occasions. Great for parties, weddings, or as a gift for the holidays. Opened in 2014, this charming and rustic bar and restaurant provides quality food and drinks to every guest that comes in. This casual place is great if you want to grab a glass of wine and dinner with your date or with a group of friends. Check out their Facebook page for weekly events taking place, like author book signing s and paint parties. If you are looking for a place for a night out on the town, then stop by St. Louis and check out this wine bar. With cobblestone walls and warm wood toned décor, this place has the feel of an old cellar that has a new lease on life as a beautiful bar and restaurant. The owners are eager to share their love of wine and food with the area residents and visitors with a menu filled with veggie, seafood, and meat options. Stop by during the weekend for some live music from local artists and enjoy the relaxed atmosphere with friends or a date.